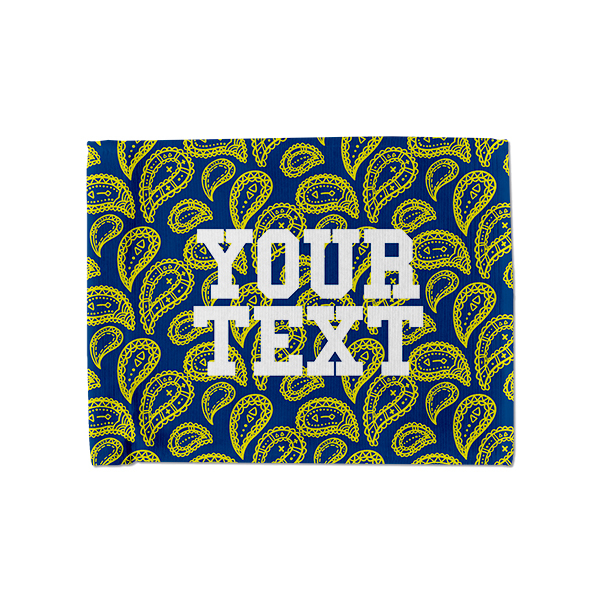 Show your home team pride with this Michigan Blue and Yellow Paisley pattern car flag. It's double sided so passerbys can see your custom text, no matter which side you hang it on. Your team has celebrated over 50 championships in its many years of athletics. Don't let another season go by without showing off your spirit everywhere you go! 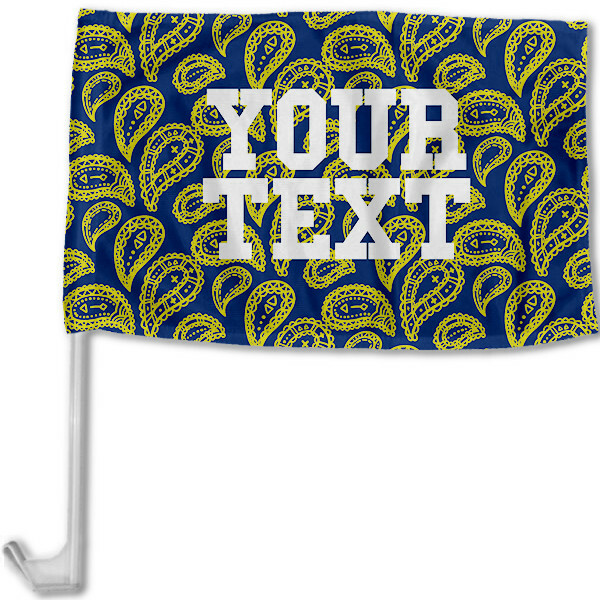 With these home team-themed car flags, you can boast your signature blues and yellows along with two lines of your custom text. Personalize yours now!